PARIS, FRANCE (July 25, 2016): Mythic Games, the new game studio from co-creators of the Conan Board Game, announces today the company’s highly anticipated first release, miniatures board game Mythic Battles: Pantheon, will make its North American debut at Gen Con August 4 – 7, 2016 in Indianapolis, IN. 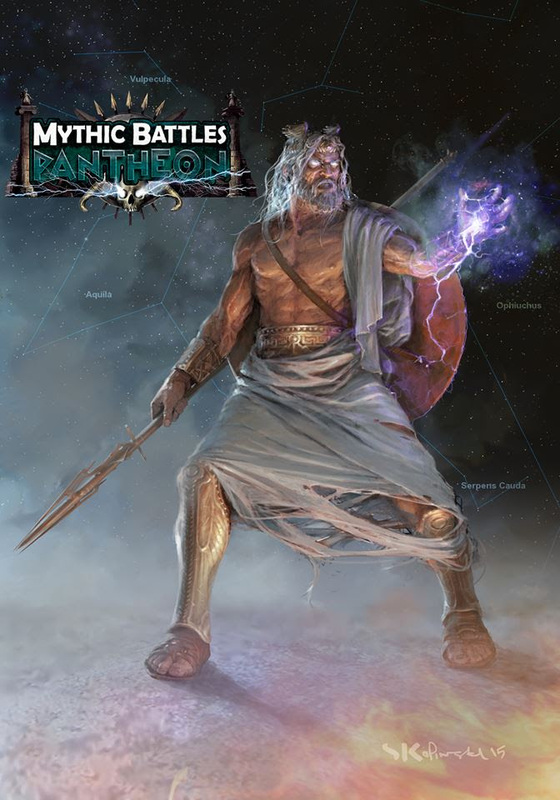 Gen Con attendees will be the first gamers in North America to play as a famous god of Greek mythology, assemble warriors, lead troops into battle, create their own Pantheon and become the new ruler of Olympus in Mythic Battles: Pantheon. 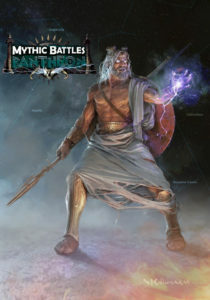 Learn-to-play games of Mythic Battle: Pantheon are scheduled in the Event Hall from 10am – 8pm each day and tickets are available on gencon.com for $4 each. Players will also receive an exclusive set of four collectible buttons of iconic Olympic gods. The mighty Titans of Greek lore awoke and unleashed a massive attack on Olympus. While the Titans were ultimately defeated, the world is ravaged and the surviving Olympians now mere mortals. As the former Gods awake to a broken world, Mythic Battles: Pantheon begins their adventure through Olympus, Styx and the Labyrinth of Minos to regain the glory left decimated by the wrath of the Titans. Playing as Zeus, Athena or any number of Greek gods alongside an army of heroes such as Achilles and Hercules and monsters such as the Hydra, Cerberus and Medusa, in victory players will be a god. Mythic Battles: Pantheon launches on Kickstarter autumn 2016 with an anticipated release date for hobby gaming stores worldwide summer 2017. Register for exclusive promotions and updates on facebook.com/mythicbattles. Mythic Games, based in France and Luxembourg, creates premium board games combining great mechanics, spectacular art and finely crafted miniatures from world-renowned designers and artists and with feedback from extensive public play testing. Mythic Games is partnering with Monolith, publisher of the record-breaking Conan Board Game, to develop its first game,Mythic Battles: Pantheon in which players will play a god of Greek Mythology to regain their glory and control of Olympus. Mythic Battles: Pantheon is set to launch on Kickstarter autumn 2016. For more information visit us.mythicgames.net.